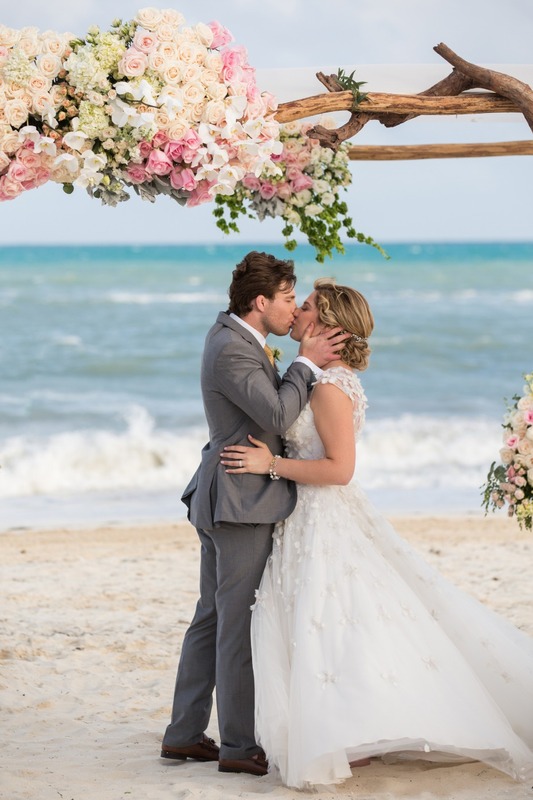 The crashing waves against the white sand beach set romantic scene for Frankie and Amanda's destination "I do's" in Mexico. 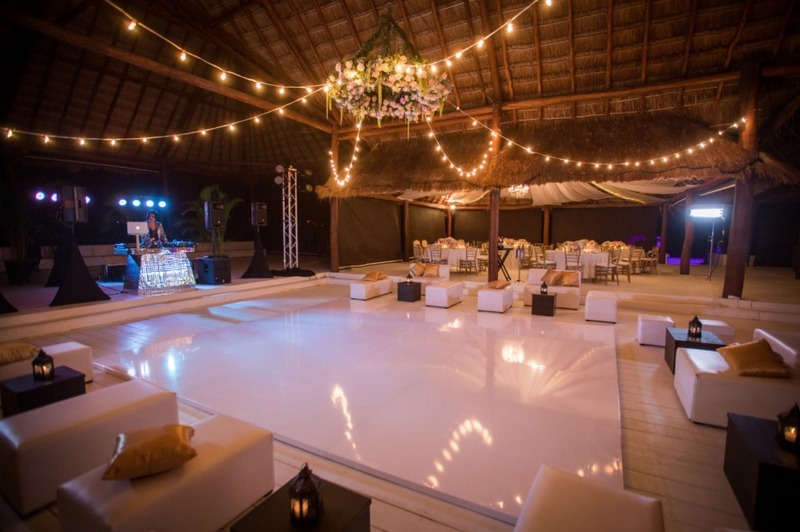 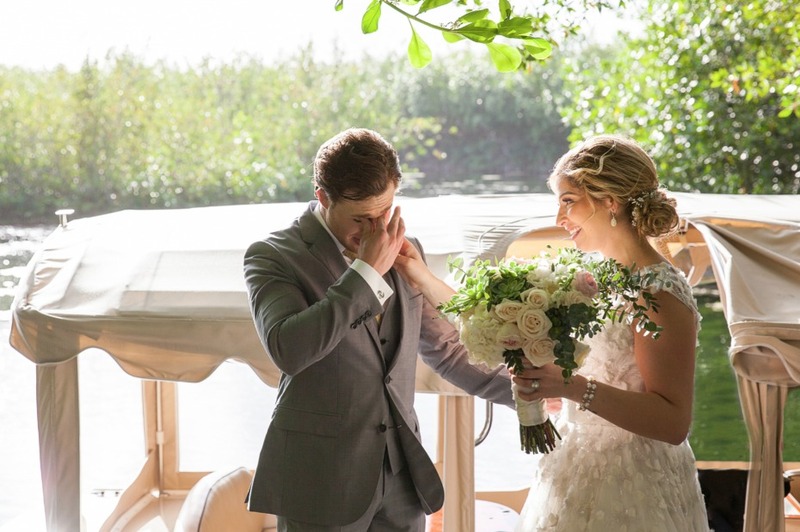 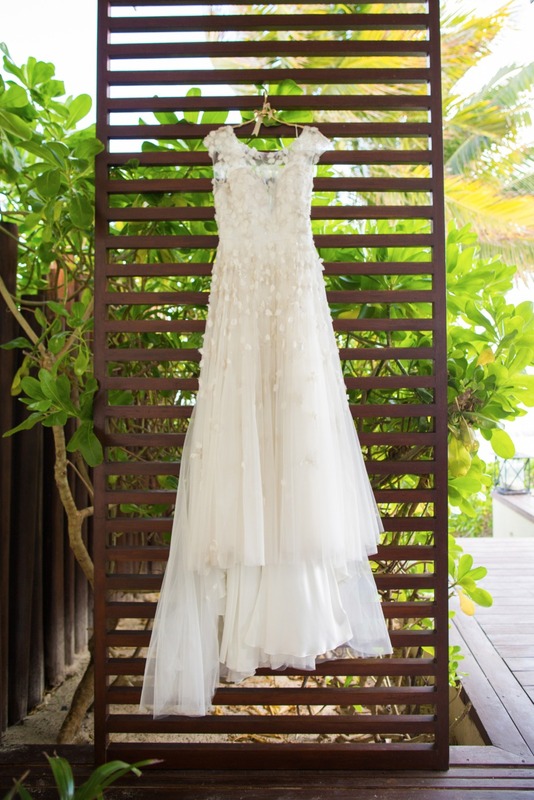 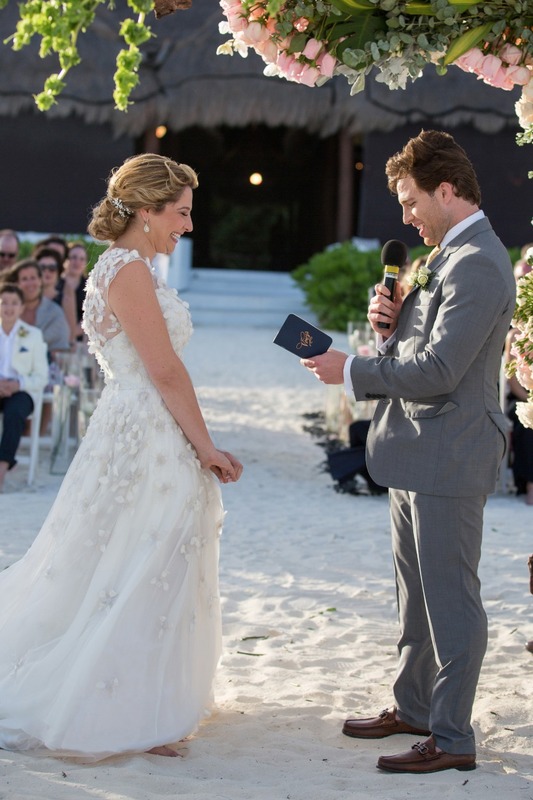 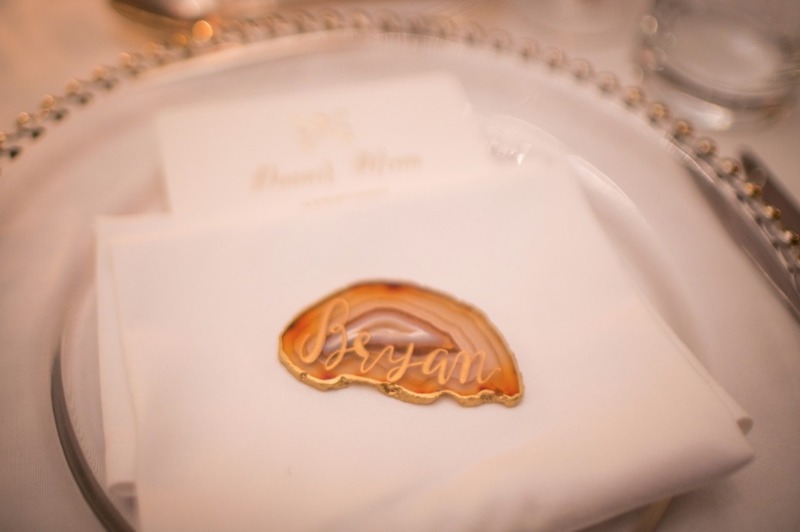 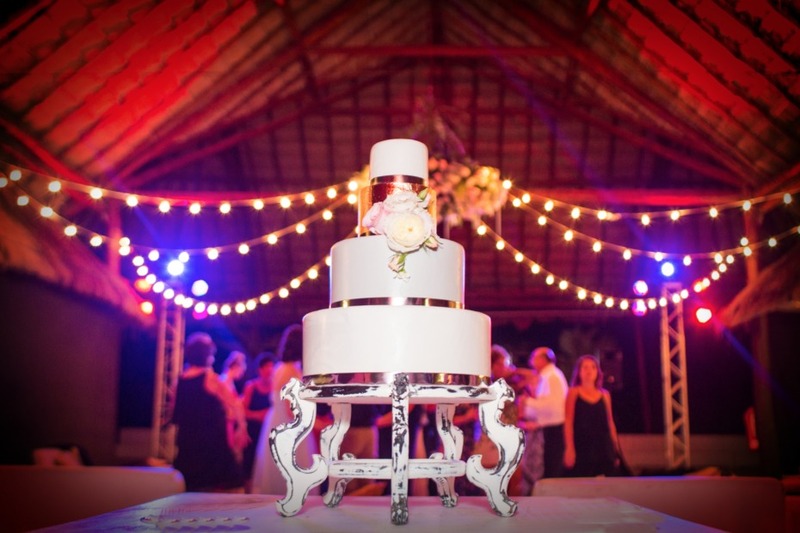 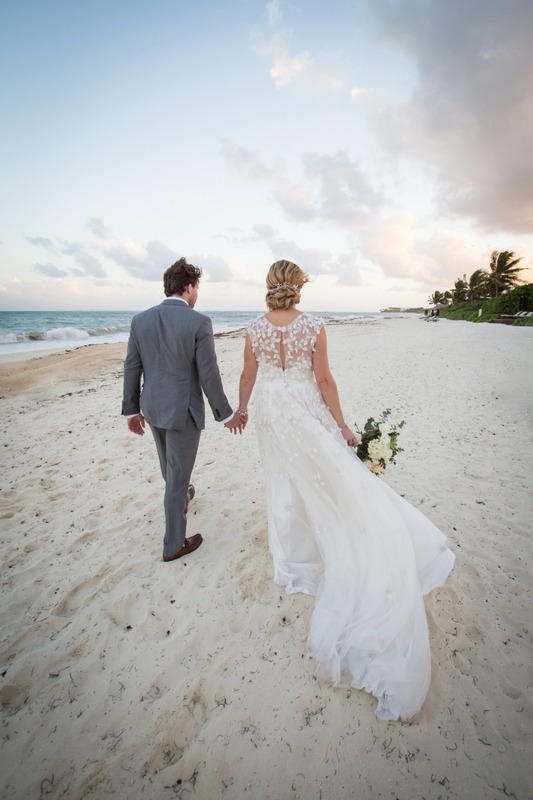 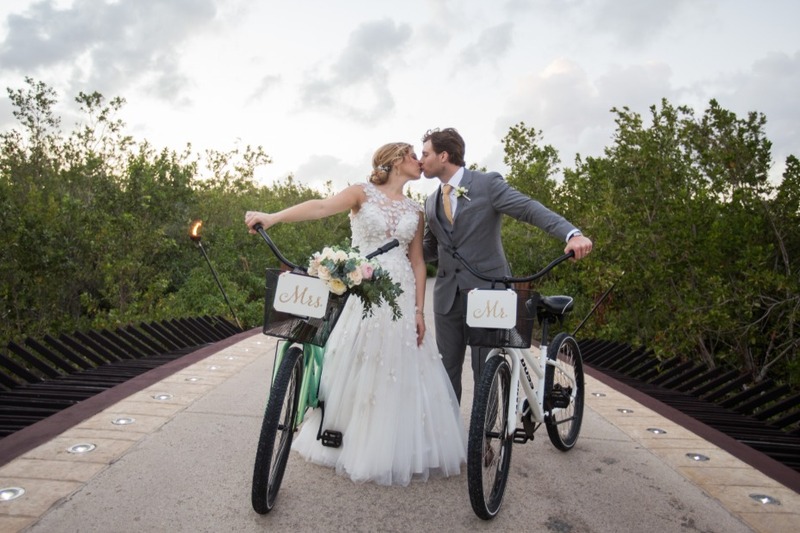 With so many family and friends traveling for such a momentous occasion, they decided one day just wasn't enough and ended up planning a weekend long celebration filled with love and laughter at the Rosewood Mayakoba in the Riviera Maya. 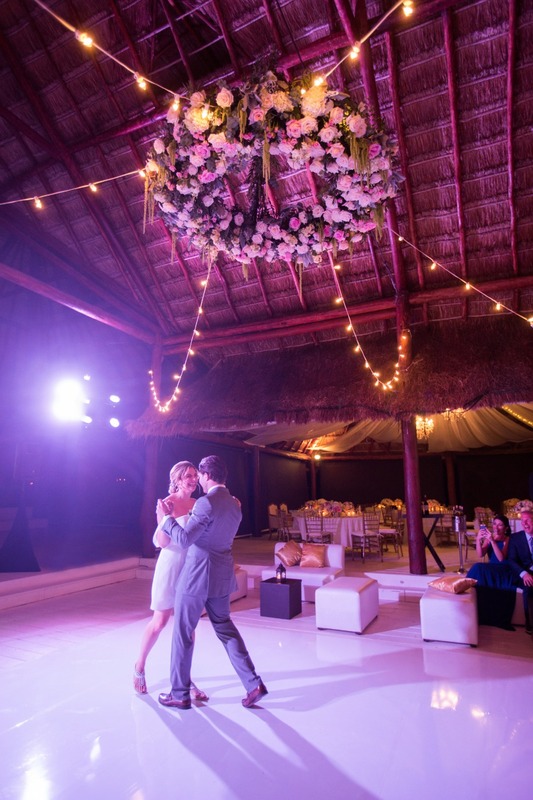 One of our favorite details has to be to the gorgeous floral chandelier with twinkle lights above the dance floor, and wait till you see her chic reception dress! 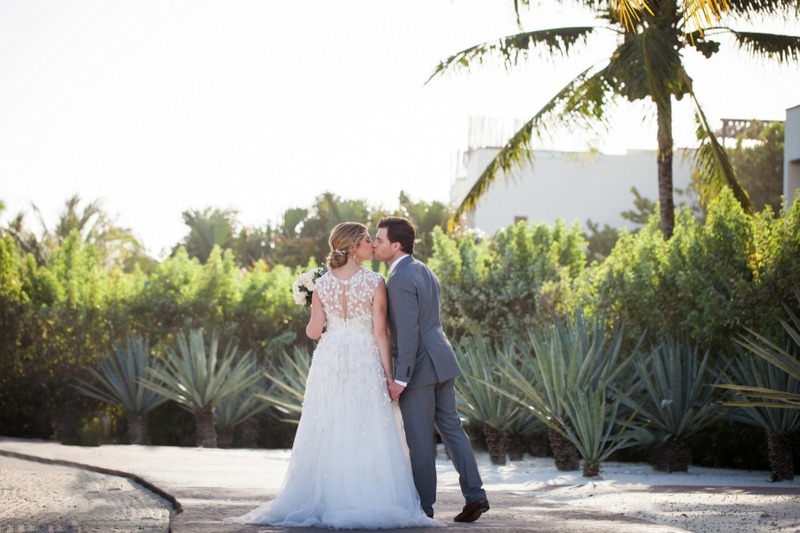 Keep scrolling for more romance captured by Elizabeth Medina Photography, plus check out the entire day in the full gallery. 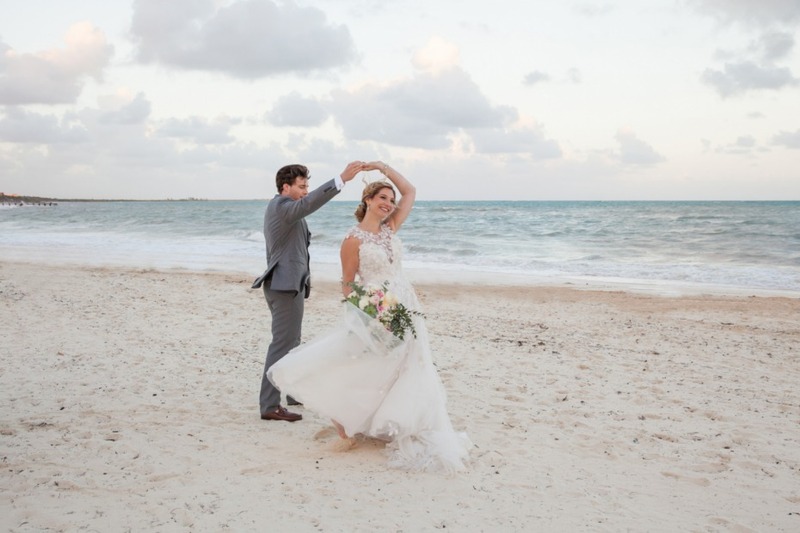 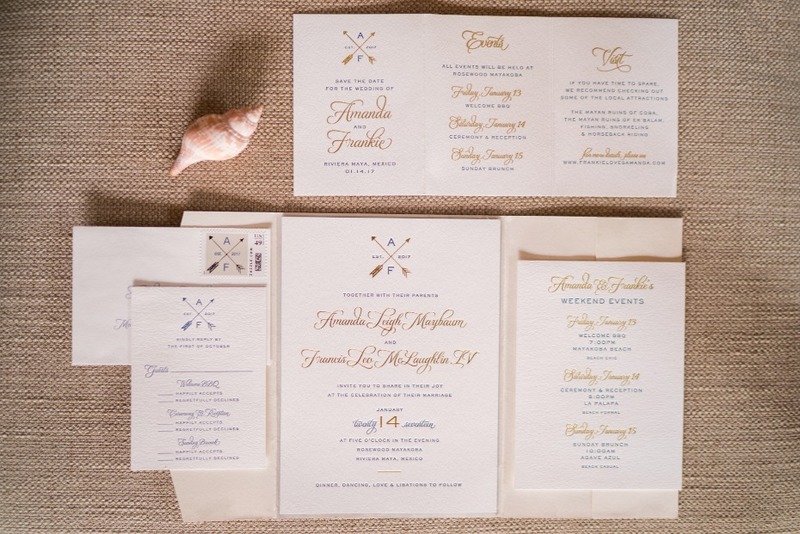 After realizing that a one night wedding would not be enough celebrating - Frankie and Amanda decided on having a destination wedding that lasted over three nights. 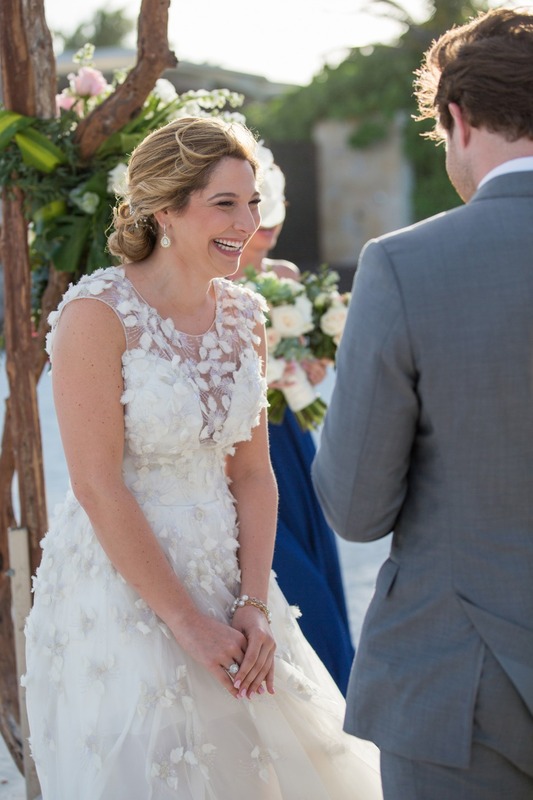 They pictured celebrating all weekend long with their closest friends and family. 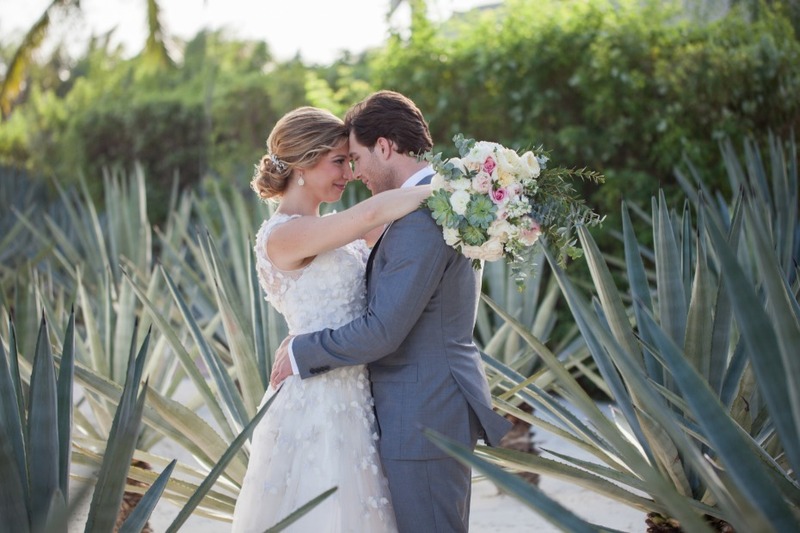 Set at the stunning Rosewood Mayakoba in the Riviera Maya, Mexico, their wedding was a romantic affair full of flowers, laughter, and love. 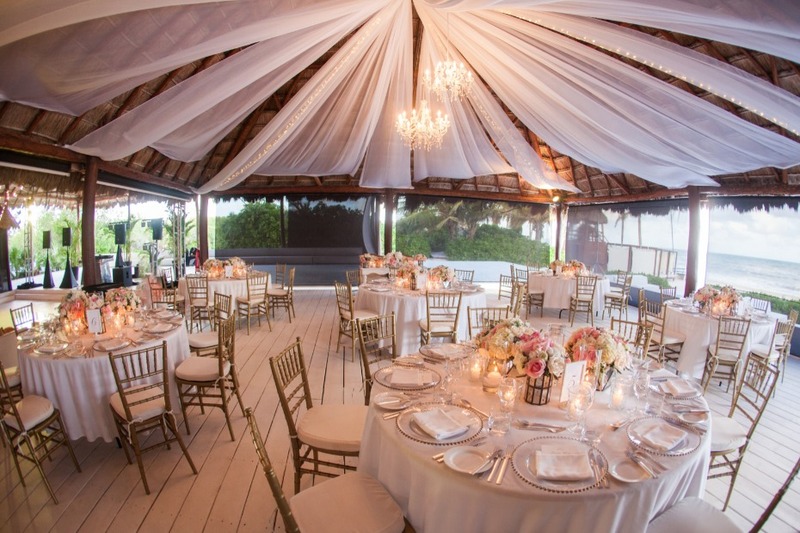 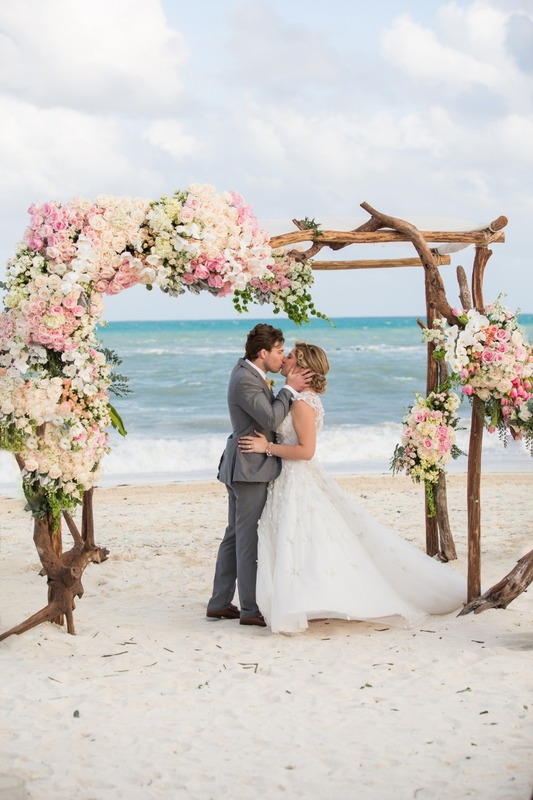 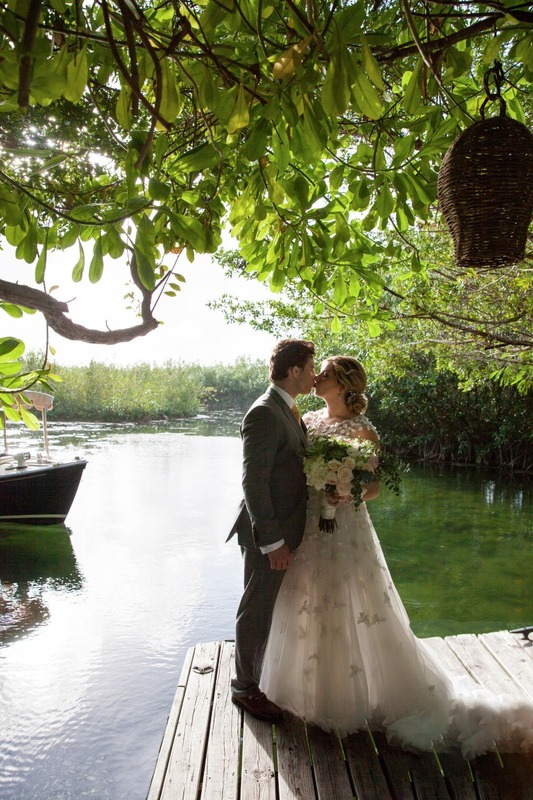 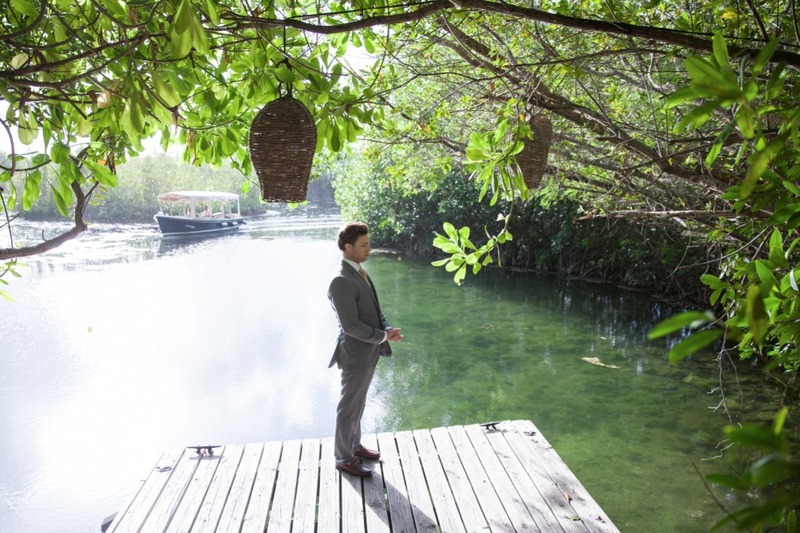 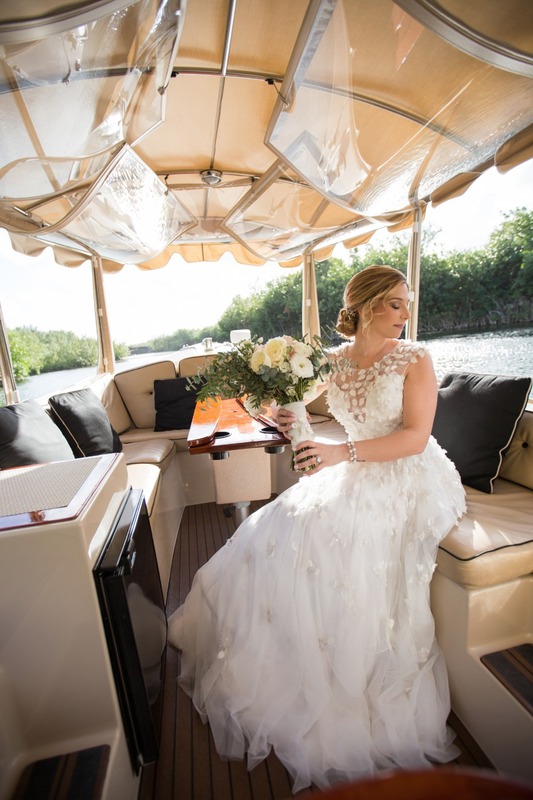 Without a wedding planner, they felt lucky to work with Magnolia from Rosewood Mayakoba, Raffaele and Claudio from EW Cancun, and Vanessa from Vanessa Jaimes Floral who helped their picture-perfect vision come together. 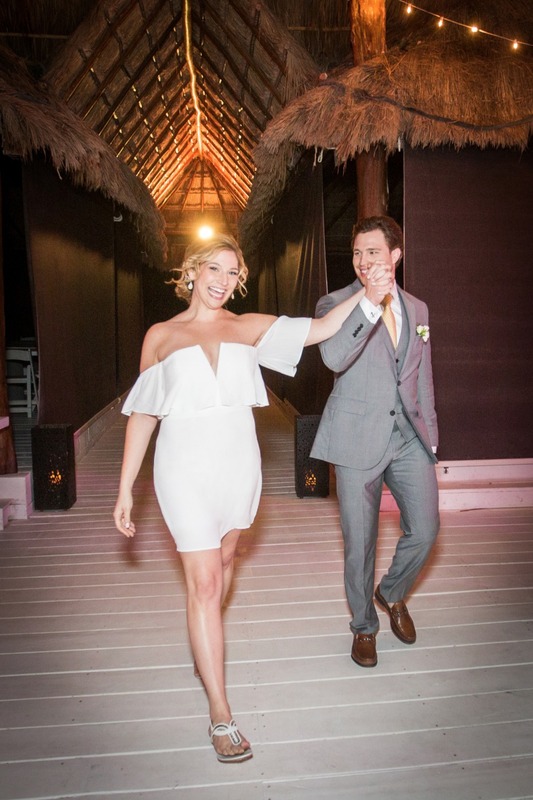 They worked together through multiple emails, frantic phone calls, and pinterest board shares to help design a relaxed weekend of casual elegance. 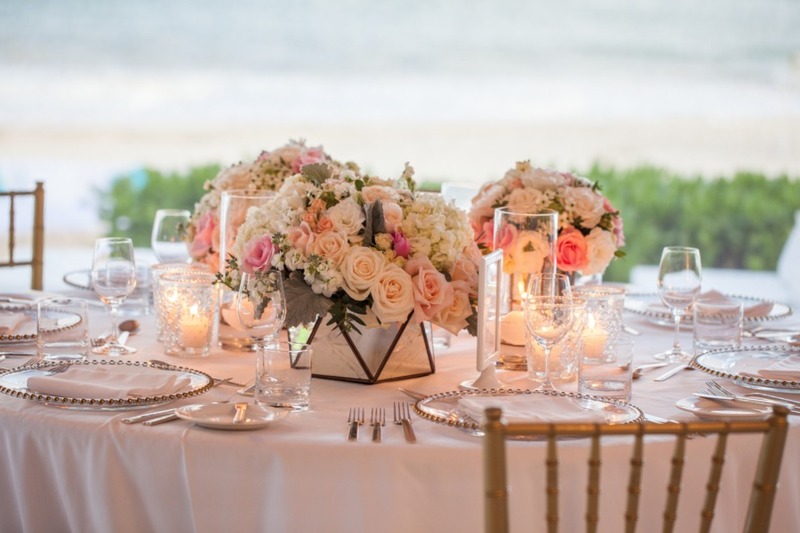 Amanda’s bouquet had ivory, blush and white flowers like david austin roses, hydrangeas, and ranunculus with exotic succulents to complement the arrangement. 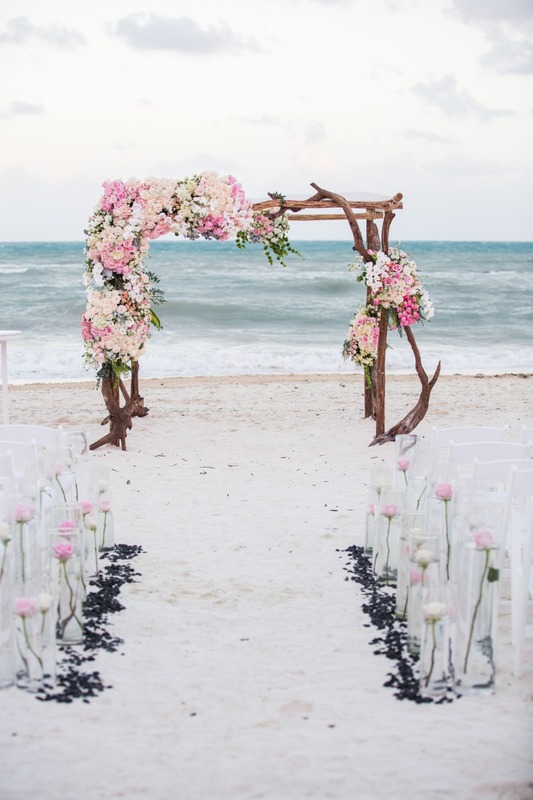 The ceremony aisle was lined with stones and glass votives filled with floating roses which led to the most magnificent chuppah at the end. 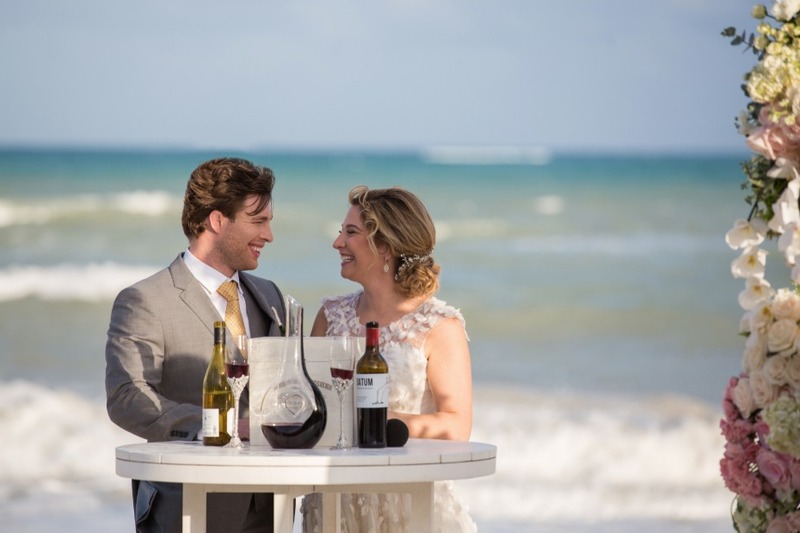 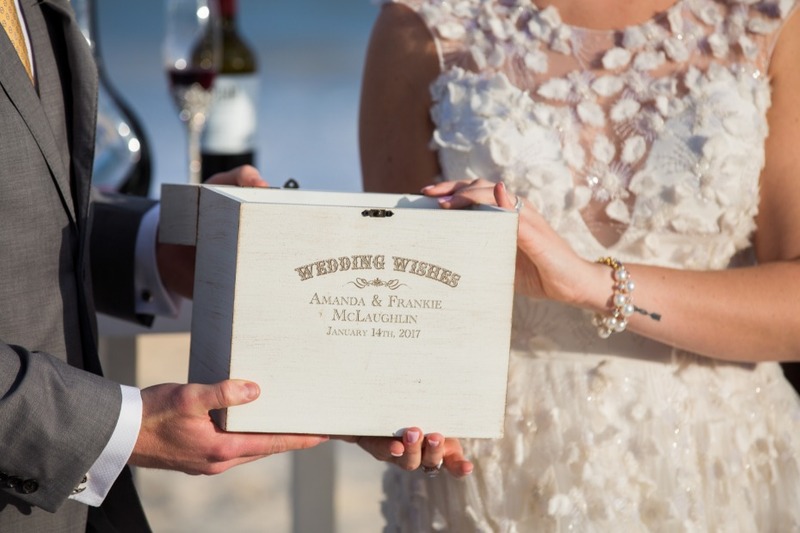 During their ceremony, Amanda and Frankie mixed a red wine symbolizing Frankie’s warmth, boldness, and love with a white wine, symbolizing Amanda’s lightheartedness and sweet soul. 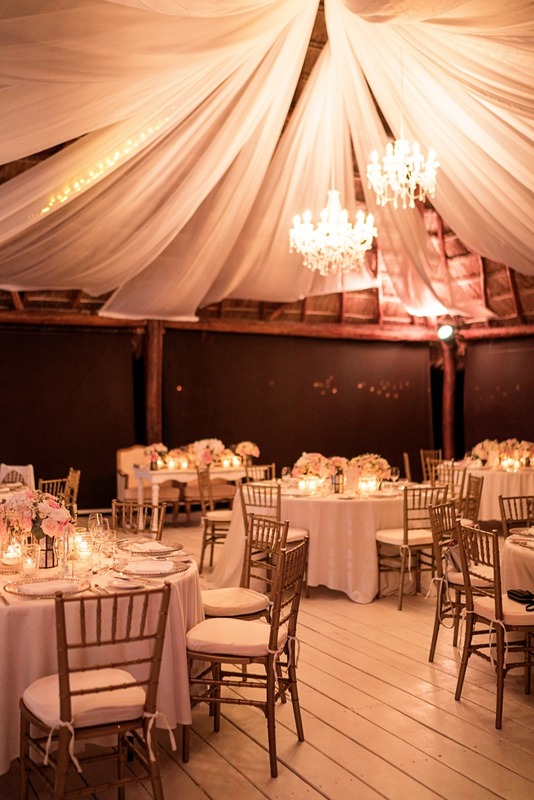 Their reception glittered with string lighting that peeked through fabric and romantic chandeliers over the dining area. 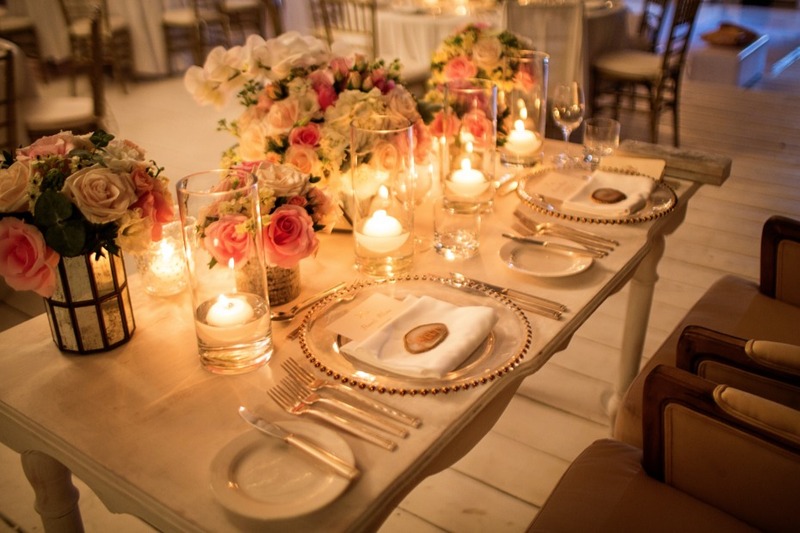 The elegant centerpieces were low so everyone would be able to mingle as they enjoyed the delicious dishes created by the talented Juan Pablo Loza and creative Fidel Baeza of Rosewood Mayakoba. 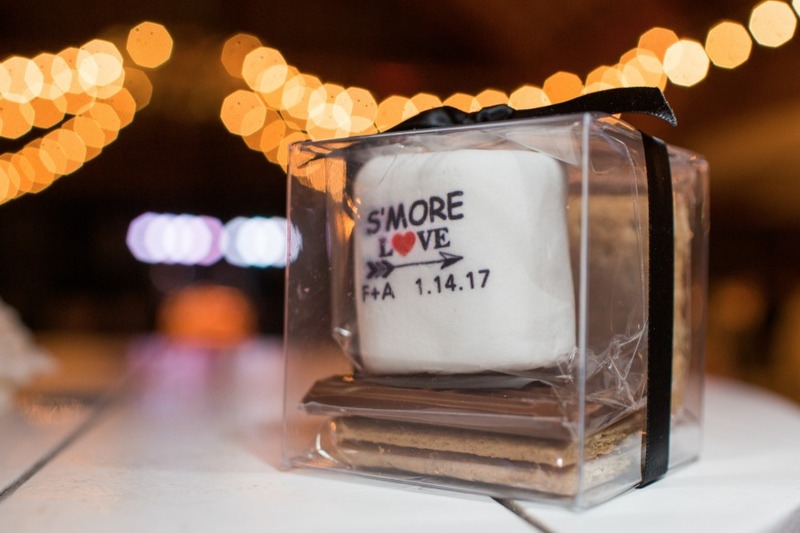 After hours of dancing to the creative musical collaborations produced by the upbeat party starter Dulce Gomez, they closed the night with delicious s'mores while snuggled up around a fire pit on the beach.